In one small part of Hoengseong, a county in Gangwondo normally famous for Korean beef, is a coal-burning neighborhood gaining a following of locals and tourists alike for its charcoal kiln “saunas.” This town, called Podong-ri, does not have much besides mountains, and its residents seem to depend mostly on cham soot (참숯, natural charcoal) sales for income. On our way to beef town, my family and I got lost and ended up on a road with two charcoal burning sites, one on each side of the road. 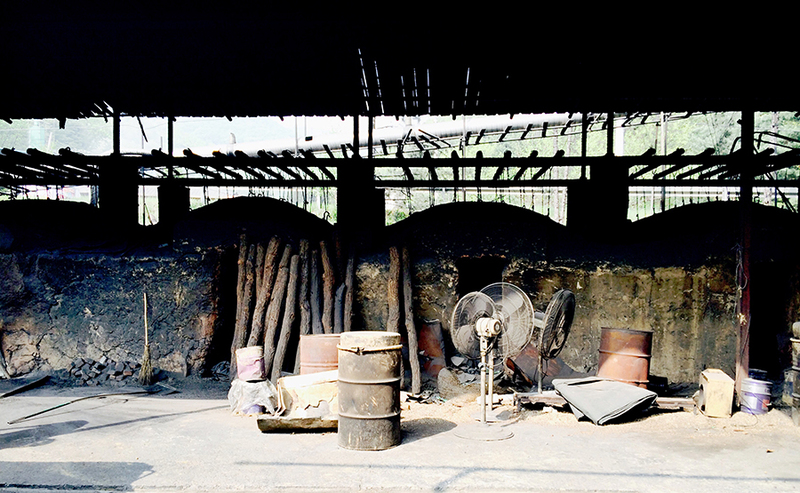 The one on the left had a sign reading, “오늘 찜질 하는 곳” (“Sauna open today”) with an arrow pointing downhill, where the kilns were busy burning, puffing dense, grey smoke into the air. It was almost dinner time when we arrived, so we booked one of the rooms nearby to stay the night and check out these saunas in the morning. 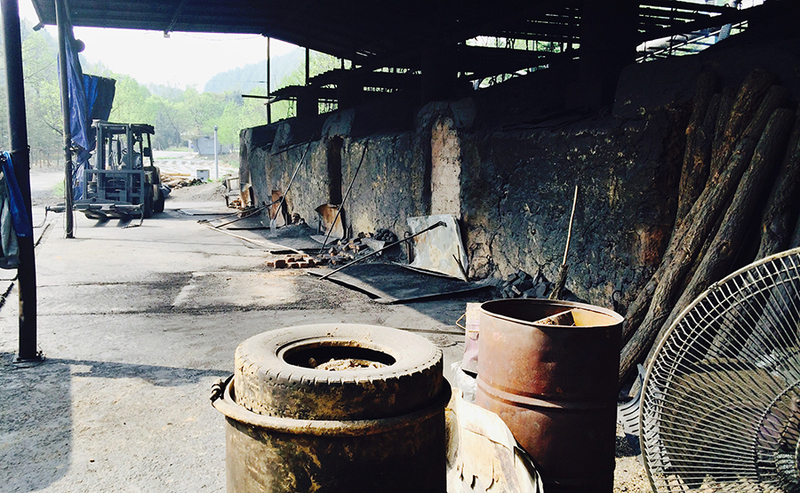 The lady who gave us our keys explained that the kilns will be burning all night at anywhere from 1300 to 1700 degrees Celsius and that a few of them will be cleared out by morning for people to go inside and jjimjil (찜질, or sweat in a sauna) in the residual heat. 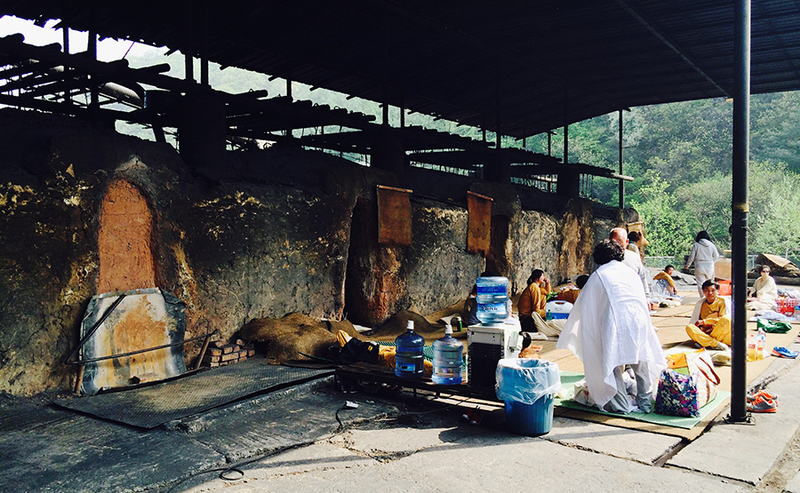 The next morning, 강원참숯 (Gangwon Cham Soot) was to open its soot gama (숯가마, charcoal kilns) for sauna use. There are days when I think of Arashiyama. The water was warm as I stepped in, toes slipping on mossy rocks. I waded deeper, dodging boulders, my blue shirt floating around me. The fog wrapped around the mountains, and tiny raindrops fell, invisible in the blackness, murmuring a soft tune over the water. You took off your trunks and swam naked in the night river; Jack sat on the pebbled shore, our sandals and clothes scattered about him. A boatful of tourists floated our way, with Japanese men lighting torches and fish-swallowing birds performing tricks to loud, enthusiastic applause. Balls of fire illuminated the dark green water, and we hid in a bank canopied with willows. And I remember the hill in Nara. We climbed fences and endless steps to the top, treading on deer dung, drenched in sweat.